The last Lamborghini Veneno Roadster to hit the production line in 2013 was put for sale by a German dealership, at the staggering price of €5.4 million, which is the equivalent of $7.6 million. Only 9 Lamborghini Veneno Roadster have ever been produced and it is no wonder how come the high price for this extraordinary supercar. The Lamborghini Veneno Roadster first saw the day light back in 2013, at the Geneva Motor Show, as the hot ride of the Aventador version, specially aimed at private collectors. Under the hood, the Lamborghini Veneno Roadster is powered by a massive 6.5-liter V12 unit, the same found on the Aventador, developing 750 Nm of torque. 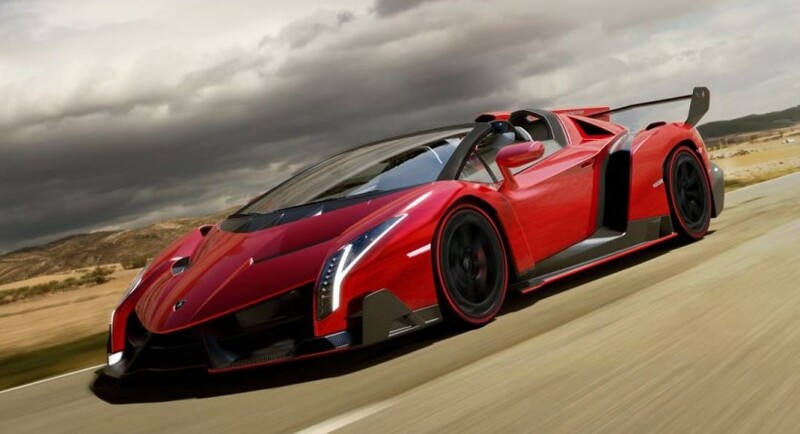 All the power of the Lamborghini Veneno Roadster is sent to the wheels through an ISR transmission, which makes the supercar sprint from 0 to 100 km/h in just 2.9 seconds, at a top speed of 355 km/h/. In case you have got the right money and add this jewel to your private collection from your garage, just make your deposit and enjoy the rare specimen.